At last week’s Administrative Collaborative, Zwink Principal Katie Turner was named the 2019 Elementary Principal of the Year. 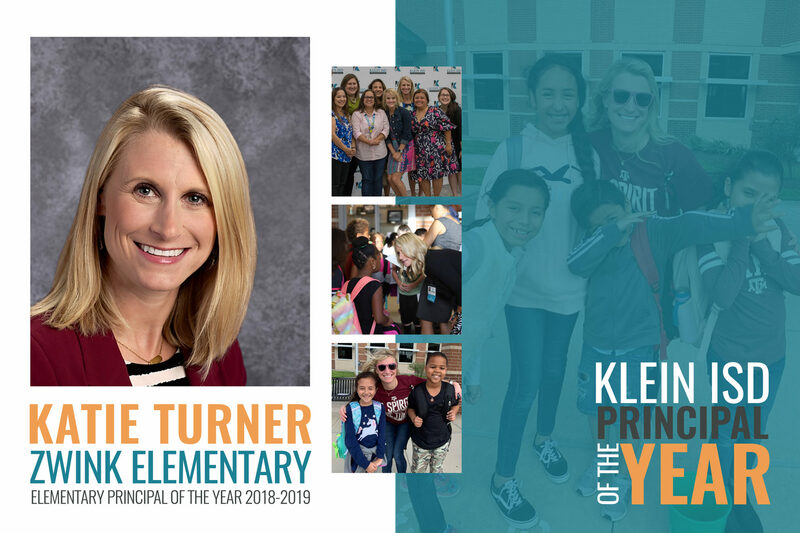 Growing up, Turner had a heart for children, but she did not dream of using it to pursue a career in teaching or administration. It wasn’t until her undergraduate student days at Texas A&M University that she would discover her future career path. After teaching in Houston ISD, Turner joined the Klein ISD family as a fourth-grade teacher at Roth Elementary. The transition from teacher to administrator was not the ultimate goal when she started in her career. Turner’s colleagues and friends applaud her for doing just that — serving. Zwink Elementary teacher Emily Beno believes that Turner lives out the Promise to Purpose mission every single day. Turner said that the teachers and staff at Zwink should share in this honor with her.